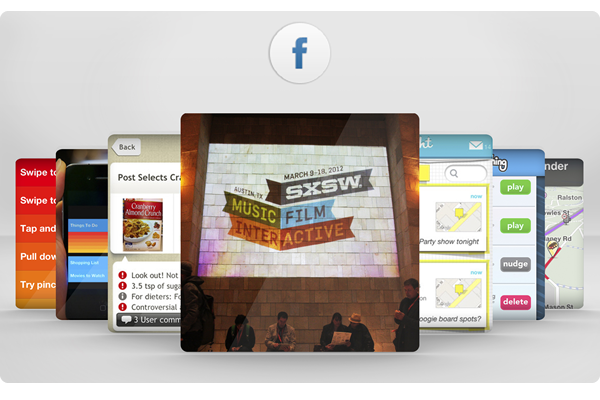 SXSW Interactive 2012 was bigger and better than ever before for Lander. Making Sense – including Chief Ideation Officer Jonathan Baldovino, Chief Product Officer Nacho Caldentey and CEO Cesar DOnofrio – was at the festival in force. Here’s the low-down on some of the best sessions we attended. Eric Ries is the author of The Lean Startup, a number 2 on the New York Times bestseller list. In his book, Eric explains some of the new concepts about how startups approach product development. 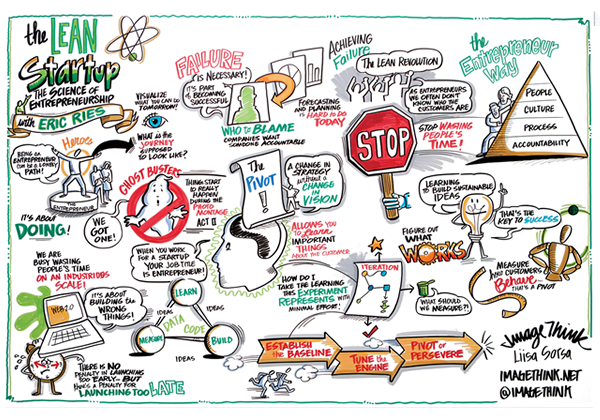 Lean startup is a new approach being adopted across the globe, changing the way companies are built and new products are launched. Eric defines a startup as an organization dedicated to creating something new under conditions of extreme uncertainty. This is just as true for one person in a garage or a group of seasoned professionals in a Fortune 500 boardroom. Lean-startup concepts focus on lean manufacturing processes which remove all work that doesn’t produce value for customers. It’s a technique fined-tuned in Japan’s factories decades ago. To find out more about Eric’s ideas, please visit his site. Eric’s presentation was reinforced by the LEAN STARTUP: From the White House to the Boardroom, What You Can Learn From Lean Giants session. Todd Park is the new US Chief Technology Officer, and Macon Phillips is Special Assistant to the President & Director of Digital Strategy The White House. Together, they showed us how the government is using lean-startup concepts. You can find out more in the session summary, below. Bing Gordon is a former Electronic Arts executive, a legendary video-game pioneer, an investor in online social gaming company Zynga, and a partner at Kleiner Perkins Caufield & Byers. In his presentation, Gamify and Socialize: Beyond the Buzzwords, Bing showed how CEOs can apply ‘gamification’ to their companies. He argues that introducing constant feedback, scoring systems, more collaboration and virtual compensation helps people create businesses and, at the same time, meaning. Listen to his presentation now. Seth Prebatsch, Chief Ninja at SCVNGR, led a fascinating session. Seth points out that credit-card processing fees today represent a $50 billion market, but that in coming years this will move to pretty much zero. Credit cards will face increasingly intense competition from new mobile payment methods like Google Wallet, LevelUp, Square Card Case, BOKU and Dwolla. And more competition means lower costs. Eric Ries, author of The Lean Startup, hosted a fireside chat with Macon Phillips, Director of Digital Strategy, US White House, and Todd Park, new US Chief Technology Officer. They talked about how Silicon Valley and lean-startup concepts are inspiring the government and enterprise sectors. You can see the whole presentation here. Opening a huge amount of HHS data to the public through public application programming interfaces or APIs (similar to NOAA but for health data). 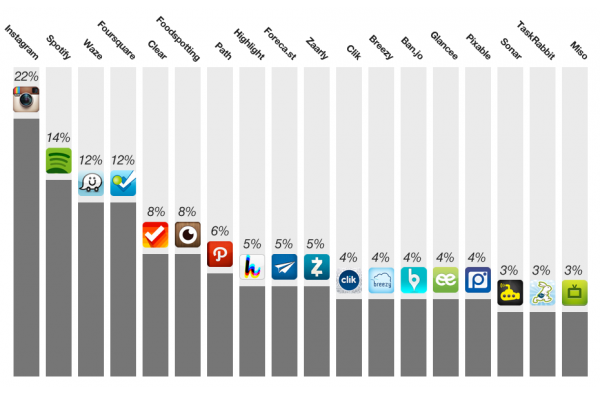 Evaluating the White House’s digital initiatives. MyHealth.gov where you can shop online for healthcare insurance, in the same way you can shop for car insurance using an aggregator or buy storage at Sparefoot. You can watch the Slides to lean startup in Government clicking here, here and here. Amber Case features in Forbes, WIRED and other publications. Her main focus is mobile software, augmented reality and data visualization, and reducing the amount of time and space it takes for people to connect. Fast Company 2010 named Amber one of the Most Influential Women in Technology. Frustrated with existing social protocols around text messaging and way-finding, Amber co-founded Geoloqi.com, a powerful platform for real-time location based services. 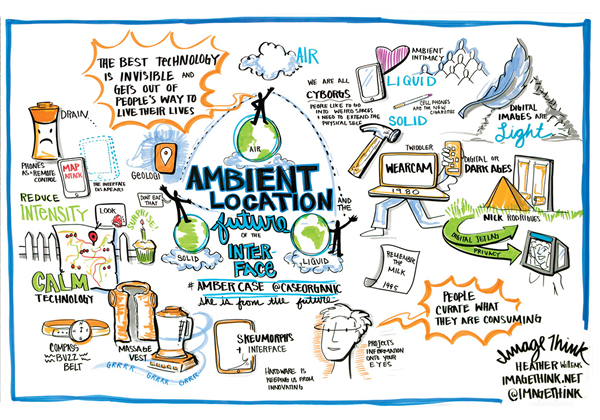 Amber talked in-depth about the benefits of geo-location – from proximity marketing to location-based, multi-player games and even treasure hunts where your mobile tells you the way. As Amber tells it, mobiles have become our lives’ remote controls. Amber also shared the story of Steve Mann who worked early on with wireless wearable webcams and went on to evolve hardware. Steve was struck by the problems some people face when typing. So he created Twiddler , a USB keyboard you can use to type up to 90 words a minute with just one hand while walking. He also built in-face recognition software. This replaces gear weighing 80 pounds which was needed in the early 80s with information projected by laser onto the eye. See more on Steve’s evolution. Jennifer Pahlka is founder and executive director of Code for America. This works with web professionals and cities around the country to promote public service and enhance the Government’s 2.0 capability. Jennifer ran the Web 2.0 and Gov 2.0 events for TechWeb and co-chaired the successful Web 2.0 Expo. Put simply, Code for America works with city managers to identify projects that web-based solutions can benefit. Through competitive application processes, it then recruits both the development teams and the participating cities. Once identified and funded, each city is connected with a web-development team. These experts scope the project further, develop an action plan and deliver an appropriate solution over an 11-month development cycle. Two case studies: Adopt a Hydrant – helping fire departments locate water hydrants – and a web app that helps parents find the right schools for their kids. The US public sector is a massive $172 billion market. Entrepreneurs need to identify Government problems that technology can help resolve. 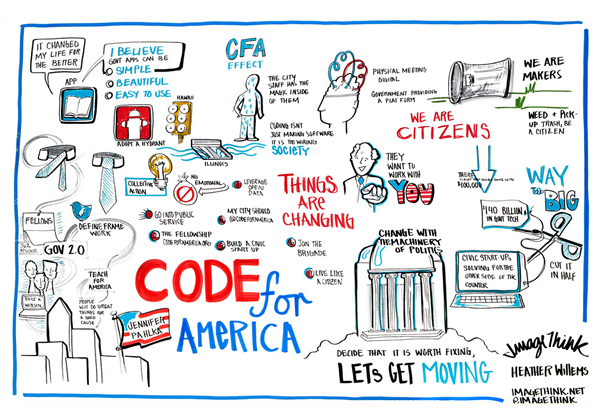 Washington, Philadelphia and Seattle are some of the cities seeing positive change from the Code for America program. Live life like a citizen – pick up the garbage, help your neighbor, walk around the streets – and consider what can be done better. New for 2012, Startup Village brought together startups, entrepreneurs and investors. Located on the fourth floor of the downtown Austin Hilton, this forum showcased the various startup events at SXSW Interactive, including SXSW Accelerator. It also hosted startup-related panels, meet ups, lounges, pitch events, mentoring and coaching sessions and much more. Susan Lahey who interviewed Nacho and Cesar. We were also glad to see many friends from Argentina, including Antón Chalbaud from AltoDot, and Christian Calviño and Juan Salas from Between Studios, our UX partners on many projects. Mobile: Mobile was the center of many sessions and I think there’s a lot more apps, games and integrations to come in future years. UX: I’m passionate about user experience and was delighted this was the subject for Sunday’s keynote. For me, the more importance placed on UX and the more people who care about it, the better. Lean Startup: At Eric Ries’s presentation, I fell in love with this concept right away. I went to all the sessions about it I could and learnt a lot. I also bought the book and it’s on my reading queue. Trade show: Stands for email arketing (iContact and others) were replaced with ones for marketing automation (Eloqua, Marketo and SilverPop). Startup Village: Glad to see SXSW supporting startups – the numbers of people there showed this was a huge success. See you at SXSW in 2013. With better weather, I hope! 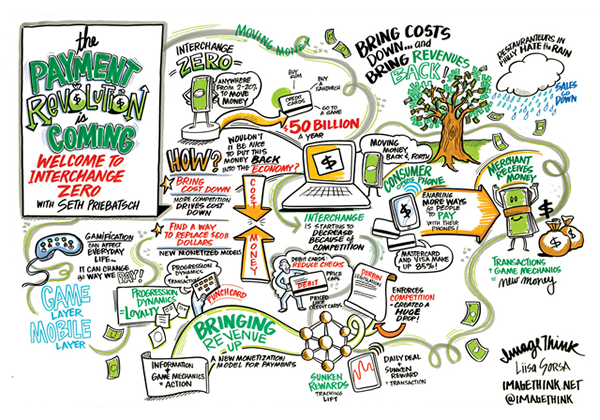 International draw: One of the biggest changes I saw from last year was the people attending SXSW 2012. All over there were folks from Australia, England, Spain, Nicaragua, Colombia and Argentina. QR codes: Last year, QR codes were the boom story. Now we see them everywhere, from products to our own business cards. UX: There was loads about UX at this year’s festival, and I agree with Cesar’s comments on this. Content sharing: Ben Silbermann showed how Pinterest, which he co-founded, helps people find and want things they didn’t even know existed. This wasn’t new, but folks keep talking about mobile and how it affects our everyday life. Responsive design: I feel this is a really important topic and one we’ll hear a lot more about this year. Networking: Making Sense’s work at Austin was all about showing off our new landing-page platform, Lander. A few months ago we talked about Making Sense traveling to Austin to attend SXSW 2012 like it’s done before. For me, the surprise was when Cesar told me he wanted me there! I went with high expectations and I must say the event and everything around it didn’t disappoint. I have little experience trying to organize events and SXSW rocks on organization! There were about 120,000 people there from all over the world and with the coolest styles I’ve ever seen. Austin is a really modern and open-minded city. Its motto is “Keep Austin Weird” and you can see this in action everywhere. There were goats walking down the street, people wearing fake moustaches and dudes with pirate patches. It all fits at Austin! I enjoyed this cultural experience all week. Deciding where to go at SXSW isn’t simple. You need to have a really clear schedule, memorize it and try to stick to it! UX: At Making Sense, we’re particularly passionate about this subject. Attending SXSW reinforced our objectives and helped confirm we’re getting it right! Startups: We assisted at many sessions on this. I found everything that Eric Ries from Lean Startup said was important and inspirational. The idea of generating value for the user with minimum effort is one that’ll live with us a long time. We’re on it Eric! Responsive design: As every gadget evolves, implementing this kind of design becomes more and more of a priority. I came back with my mind set on it. Networking: It was crucial for us to put Lander in front of so many companies and specialists. Sharing this technology opens the door to possible collaborations and business ventures in future. To sum up, we’re delighted with our time at SXSW 2012. All of us –especially myself – hope to be there again next year. Do you want to see all our pictures from SXSW?